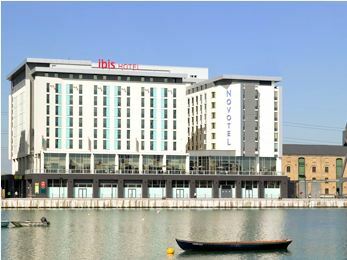 The Ibis London Excel hotel is located within London’s Royal Docks. Great transport links are nearby meaning easy access to London City Centre. Nearby are great attractions such as the o2 Arena, Excel Exhibition Centre, Canary Wharf, Emirates Cable Car, the stunning London Royal Docks and more. The Ibis London Excel has 278 rooms and also has accommodation for people with disabilities. The room feature Wi-Fi, satellite TV, telephone, air conditioning and shower. Where is Hotel Ibis Excel London Docklands in London?